In this latest release, we’re excited to bring you new features and many improvements to the PerfectMind platform. The features below are rolling out to BETA users and will continue rolling out to all live users in the coming weeks. Click on the thumbnails for expanded views and browse through the help files to learn more about each feature. For single bookings, you can now choose for event registration to open a pre-defined amount of time before the start of each session. For example, if you want to have drop-in classes to be available for registration 2 hours before an event start time, this can be done more efficiently. You don’t have to change the registration open time for each session individually – simply set it once for the series of bookings and it will apply to each session. This applies to both in-person and online registration dates. You can now provide a detailed registration confirmation document that can be printed or automatically emailed to customers upon successful registration. The registration confirmation document includes detailed program information such as fees, payment details, instructor, location, course schedule, any exclusion dates (such as holidays), and questionnaire responses. Having all of this information in one easily available place may reduce calls to the front desk. You can fully customize this document to reflect your branding and style needs to maintain a consistent look and feel across all customer facing documents. We’ve added an event booking timer to hold a course or single booking registration as tentatively booked (with a hold tracker) until your online customer can complete their registration, or your staff can complete the registration on behalf of the customer. This ensures that customers are enrolled on a first-come-first-serve basis during peak registration times. If a staff member or online customer is inactive within the PerfectMind browser window for a pre-set amount of time, they will get a pop-up notification that their hold is about to expire and can choose whether to continue with their booking session. To make sure your customers and staff don’t accidentally lose their booking hold, a warning will pop up if the customer attempts to browse away from PerfectMind with an active hold that has not been added to the cart. 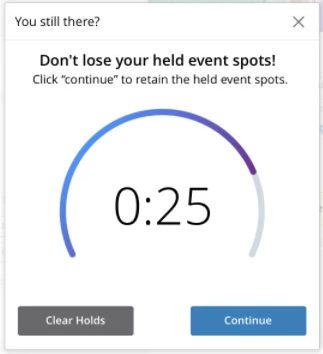 Staff members completing a booking will be able to see the current number of active holds (both online and by staff) when registering a customer into the event. POS 2.0 users can now create Limited by Date Range memberships with static start and expiration dates. For example, a swimming membership could be created to be valid only from April 1 to September 30 - outside of this period the membership wouldn’t be able to be used. Limited by Date Range memberships can’t be renewed - a new membership must be purchased for a new time period. If a membership is purchased in the middle of the date period, the system does not automatically prorate the purchase. POS 2.0 users can now access a set of similar products or memberships by creating a category. For example, a “Swimming” category could include everything from goggles and towels to drop-in swimming courses. Categories are searchable by name, and can also be configured as buttons for easy access. These category buttons help make sales easier by minimizing the number of clicks and removing the need to search for each individual item. For POS 2.0 users, you can now configure specific buttons for each station in your facility. This allows each station to only display the items they have access to. For example, if you have a concession stand within a facility, the concession POS will only show the concession items, and will not show memberships or other non-concession items. Users with appropriate permissions can override the station-specific buttons to display a different button configuration if needed. We have added the ability to configure the minimum capacity and waitlist at the service level for Event Creation. This has been added to make the activity creation more efficient. We now record the details of all membership types when a card is read at a scanning station, resulting in a more complete attendance history for each customer. Previously, only punch pass details were recorded. Previously, when trying to register a family for an activity, if each family member did not qualify for the same fee, you could not register the entire family at the same time and Online Book Me was disabled. You can now register a family for an activity at the same time because users are now able to select different fees for each family member individually. You can now search for course and class events online using a days of the week and date range filter. For example, you can search for events available on Monday and Wednesday between Sept 1 and Sept 30. 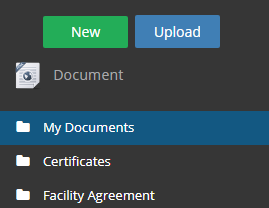 You can now assign multiple profiles to staff members at one or multiple locations. Profile permissions are combined together - for example, if you had two separate profiles (Front-desk and Facility Booking staff) at a facility, you now have permissions of both Front-desk and Facility Booking staff profiles. Profiles can be assigned to multiple locations or a single location. Previously, you could only be assigned one profile at a time per location.